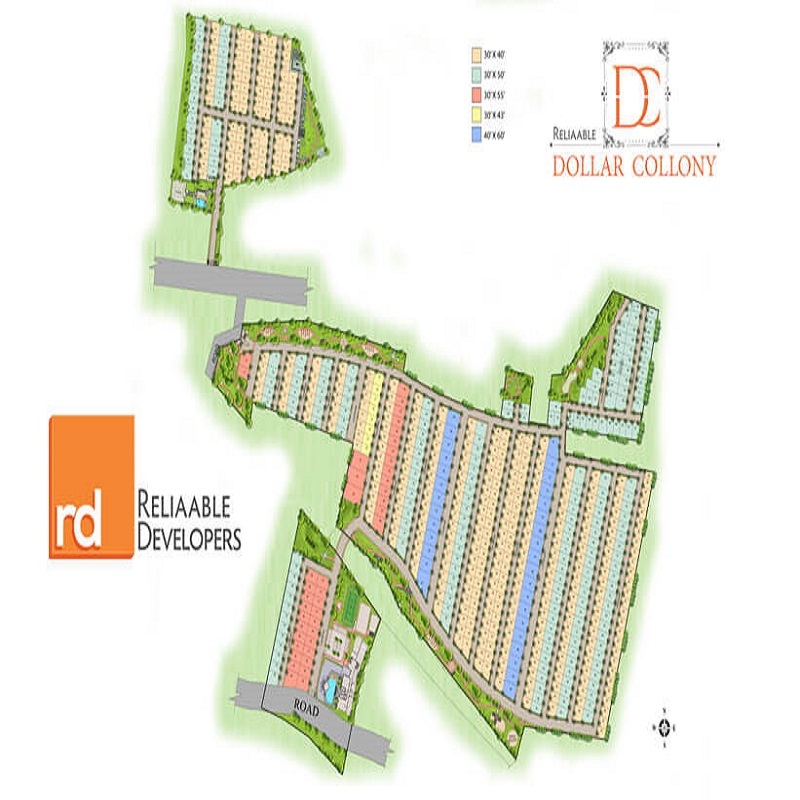 Reliaable Dollars Colony is located close to HSR Layout, Off Hosa Road, East Bangalore.Project pre launch by the brand builder Reliaable Developers.This tremendous project is ready to move in by 60 Acres of very huge land.Project is planned by the experts of the industry. These plots are planned as per the catering to the needs of a modern family. This exclusive project is loaded with a number of world class amenities for their valued residents.Best facilities like water recycling, rain water harvesting, solid waste management, CCTV Cameras, 24/7 security, extensive storm-water management were also planned for the builder. Hosa Road has the good connectivity to Electronic City, HSR Layout, Outer Ring Road, Silk Board Junction, Metro Station, NICE Road and other parts of Bangalore.Location has the advantage of many IT Hub. A short drive for IT Companies Like Wipro, TCS, Infosys etc. and several MNC’s. It has also developed as a residential area due to the constant demand from the professionals for an affordable home. Club House,Creche,Guest Accomadation,Indoor Games,Snooker or Billiards,Spa,Squash Court,Swimming Pool,Table Tennis,Biggest Pvt BDA Approved Layout,Two Club Houses,Two Swimming Pools,Ten acres of Themed Parks,Three Restaurants with Bar,Five Outdoor Gyms,A massive amphitheater,Grand Arch,Guest Rooms,Squash Court,Indoor Badminton Court,Billiards Room,Spa,Children’s Creche,Banquet Hall,Table Tennis,Yoga/Aerobics Hall,Mini Theatre,Multipurpose Hall,24-hour security,Rain Water Harvesting,Pedestrian Infrastructure, Underground Electricity Cables,Asphalted Roads,Over Head Tanks,STP. Never Invest with Reliaable Developers! I have never had such a bad experience in my life, it is almost like I have lost the money. The property after 4 years dont have basic infrastructure to build houses – no Electricity, no Security, no Compound Wall, no Water Supply, gardens not done. and no Procession certificate from the developer. All we have is anti social people entering the property and having their booze and fun time! Reliaable Dollars Colony completion date is April 2021 as per RERA. So be ready to wait till April 2021 as the developer is not liable to pay any compensation what so ever. Check out in RERA website and see it yourself. Ask for a written confirmation on completion date and you will realize the true picture.